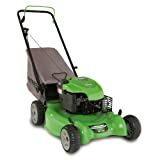 Lawn Boy 10645 20-Inch 6.75-Gross-Torque Briggs & Stratton Gas Powered Lawn Mower (CARB Compliant) (UPC 021038106458) is sold at the following online stores. We've find the latest prices so you can compare prices and save money when making your purchases online. Please click on the links below to browse to each store's webpage.